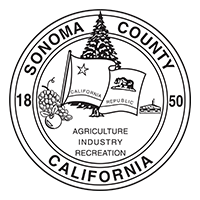 A sampling of not-to-be-missed Sonoma Valley happenings. Few publications have captured the essence of western living better then Sunset magazine. From travel destinations to home design and gardening, food & wine, and recipes that celebrate the regional lifestyle, Sunset’s coverage has earned them a loyal following. Sonoma Valley welcomed news of the magazine’s decision to create new test kitchens and gardens at Cornerstone Sonoma, right in the heart of Los Carneros. Sunset’s arrival in Sonoma Valley officially kicks off in May with the move of its annual Sunset Celebration Weekend event, which draws thousands of devoted fans each year. From celebrity chefs and cooking demos to gardening seminars, and of course plenty of wine tasting, the weekend is sure to offer much to celebrate. This roving culinary experience returns for its fourth visit to Scribe Winery at Sonoma Valley’s Southeastern edge. As of press time there are still a few tickets left. Sibling proprietors Adam & Andrew Mariani play host with 2016 James Beard nominee, Ryan Pollnow, of Aatxe in San Francisco at the helm in the kitchen. Guests will gather for a reception on an oak shaded hill followed by a guided tour of the vines and gardens and where you will learn more about Scribe’s “forever wild” approach to viticulture and wine making. The dinner table will be set near the historic hacienda flanked by the property’s dramatic rows of palm trees. The Grand Lawn that fronts the iconic Chateau St. Jean in Kenwood provides the setting for their Fête de la Fleur wine-tasting event. Taste through their latest vintages, including winery exclusive offerings like the Durell Vineyard Chardonnay, while enjoying the gorgeous estate-gardens in full Spring glory. Both wine and local food truck fare will be available for purchase. While admission is complimentary, space is limited and advance reservations are recommended. The brainchild of Gundlach Bundschu’s President Jeff Bundschu and his musician friend Eric Johnson, Huichica returns for its seventh year as one of Sonoma Valley’s most anticipated events of Summer. Attendees will enjoy a dynamic hand-curated line up of music, wine and food served up amidst the natural beauty of the Rhinefarm Estate. This year’s Huichica offers the most dynamic and extensive selection of music in the festival’s history. The list is long and storied, and performances will be spread across three different stage: The Hillside Amphitheater, the Cave Stage, and the Rhinefarm’s historic Redwood Barn.